The full picture of the causes of endometriosis is still unknown. Endometriosis is a puzzling hormonal and immune disease affecting girls and women from as young as eight years old through postmenopause. Research spearheaded by the Endometriosis Association since 1992 has shown that environmental toxins such as dioxin and PCBs, which act like hormones in the body and damage the immune system, can cause endometriosis. Dioxins are highly toxic chemicals which come from the production and use of pesticides and herbicides; municipal, medical, and hazardous waste incineration; chemical and plastics manufacturing; and pulp and paper production. Dioxins readily concentrate in the food chain, contaminating animals and fish; thus food is the primary source of dioxin exposure for humans. One theory suggests that endometrial tissue is distributed from the uterus to other parts of the body through the lymph or blood systems. A genetic theory suggests that certain families have predisposing factors for the disease. 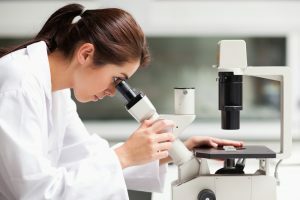 Another theory suggests that remnants of tissue from when the woman was an embryo may later develop into endo or that some adult tissues retain the ability they had in the embryo stage to transform under certain circumstances. If you want to learn more about treatment options and diagnosis, please visit our Healthcare Provider page to learn more.